Use for permanent fixing into concrete, brick and block work. Size information eg M6, 10 x 50mm. M6 = size of bolt, 10 x 50mm = 10mm thickness the bolt will fasten and 50mm is the minimum depth required to fit the product. 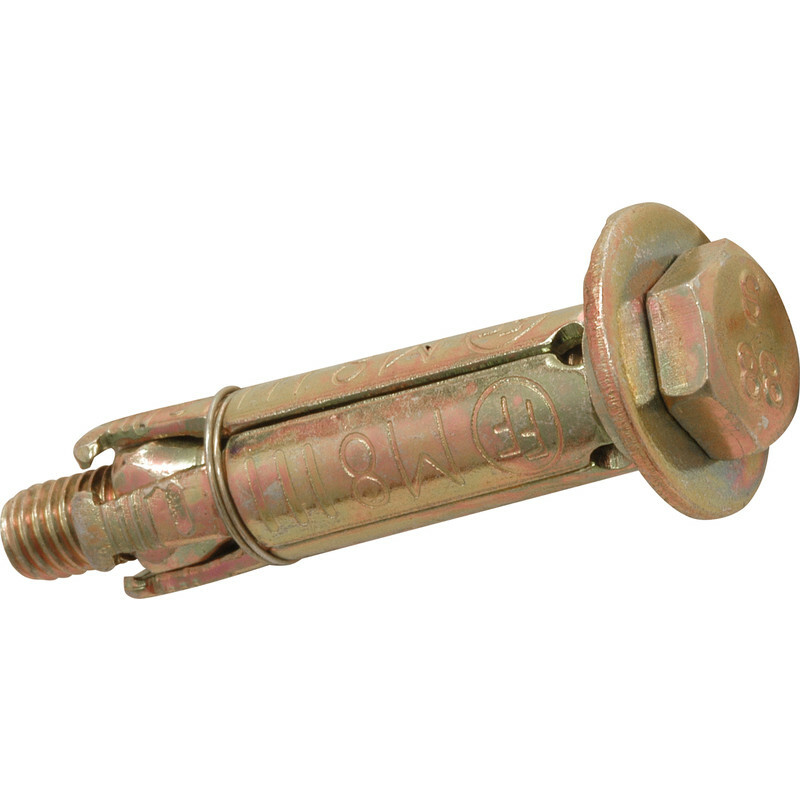 Shield Anchor Loose Bolt M6, 25 x 50mm (10 Pack) is rated 4.5 out of 5 by 12. Rated 5 out of 5 by geofw from excellent quality at excellent price I bought a pack of these and used most straightaway. All absolutely fine. I still find the price impressive. Rated 4 out of 5 by arozz from Cheap and cheerful, but does the job. Cheap and they do the job. Used to fit window bars. Could do with offering a slightly longer version. Rated 4 out of 5 by M1PTA from Easy to install Great price, I used 4 to hold up a metal gate and basically a 9"x 3" angle iron fastened to a brick wall.